How Soon Can You Buy a House After Bankruptcy? It is an understandable challenge to go back to normal life after your bankruptcy. Worrying about your financial future after the discharge could make you lose sight of achieving your dreams. You now question if buying that new house you have been eyeing is such a good idea. How long can you hold off before you can buy a house after bankruptcy in Phoenix? In the past, people’s hands were tied, unable to purchase a house until they were able to clear the bankruptcy from their credit report. These days, that dream to buy a house after bankruptcy in Phoenix is more achievable than it used to be. The average waiting period to qualify for a mortgage has been reduced to two years following the bankruptcy discharge in many cases. Under certain circumstances, people have been known to qualify for the purchase even faster than that. The US market features several kinds of mortgage loans. Qualifying for each one after the bankruptcy filing will come with specific terms and conditions. Federal Housing Authority (FHA) loans are the first option. The FHA loan is great for those who have very little upfront cash for the acquisition of a house. The credit score requirements are not highly restrictive (about 580 to 640 will do). People who have completed a Chapter 7 bankruptcy discharge may qualify to buy a house after bankruptcy with an FHA home loan within two years from the discharge. For those who have opted for a Chapter 13 bankruptcy, the waiting period will be one year after the final payment of the plan has been made. Veterans Affairs (VA) loans are another possibility. As the name suggests, such home loans are available to provide financial assistance to veterans. This loan allows for the purchase of property without a down payment. There is also no minimum credit score requirement. 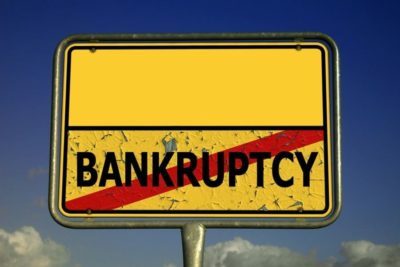 As far as waiting periods go, people who have gotten a Chapter 7 bankruptcy discharge will need to wait two years to qualify for the VA loan. Those who completed all of their Chapter 13 payments will have to wait 12 months to obtain their VA loan. Conventional mortgages are third and probably the most common financing option as far as home loans are concerned. The federal government does not have anything to do with such loans, which means that financial institutions can set their individual terms and conditions. The waiting period for a conventional mortgage is the longest one. People who have gotten a Chapter 7 discharge will need to wait up to four years in order to qualify for a conventional mortgage. In the case of a Chapter 13 bankruptcy, the waiting period will be 24 months from the date of the last payment. The terms mentioned above apply to individuals who have gone through the bankruptcy process without a foreclosure. Whenever a bankruptcy and a foreclosure occur, things may become more complicated when it comes to purchasing a home. People who go through a foreclosure will usually need to wait longer before qualifying for a loan. Things are complicated further by the fact that the bankruptcy negatively affects one’s credit score. Often, filing bankruptcy can make it easier for you to qualify for a home loan. Bankruptcy will reduce or eliminate the amount of unsecured debt that you owe, freeing up your income to make a house payment. Yes, you will usually need to wait a while before purchasing a home but you could be in better shape financially when you do. The waiting period also gives you time to take advantage of our free credit repair service. Most people on our program can improve their credit score to 720 or higher in 18 months or less. Even with a bankruptcy, having a 720 credit score will make you eligible for lower interest rates. If you are concerned about buying a home after bankruptcy, give us a call. Our bankruptcy attorneys are happy to discuss your options and help you plan for your future home purchase.